Celebrate your summer of fun at the annual Squaw Valley Fine Arts & Crafts Festival. Wander through the beautiful mountain resort of the Village at Squaw Valley and browse an array of incredible fine arts and crafts by California’s most talented artists and craftspeople. 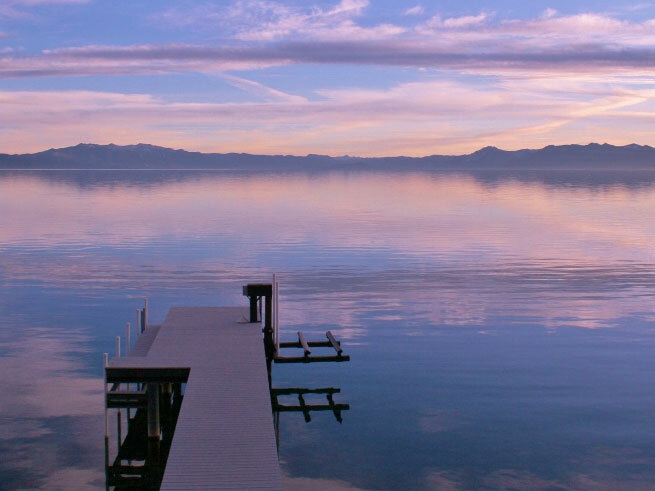 This wonderful two-day event will showcase original art, including paintings, sculpture, photographs, mixed media, ceramics, and jewelry in a magnificent North Lake Tahoe atmosphere. Part of the famous Pacific Fine Arts Festivals, one of the top outdoor art events in the country, Squaw Valley Fine Arts & Crafts Festival has a cool vibe and feel that will captivate your spirit. With breathtaking mountain scenery and the charm of the Village of Square Valley, the popular arts festival is the perfect summertime happening for the family and the ultimate setting to see and buy beautiful artworks from California. So, head over to heart of the village for the annual Squaw Valley Fine Arts & Crafts Festival, held Saturday July 27th and Sunday 28th, from 10 am to 5 pm for a fabulous weekend of creativity and beauty. During your art stroll, you’ll also find food, beer and wine vendors and fantastic restaurants, cafés and bars where you can relax and grab a bite to eat. For more information on the annual Squaw Valley Fine Arts & Crafts Festival, check out http://www.squaw.com/things-to-do/events-calendar/squaw-valley-fine-arts–crafts-festival-. 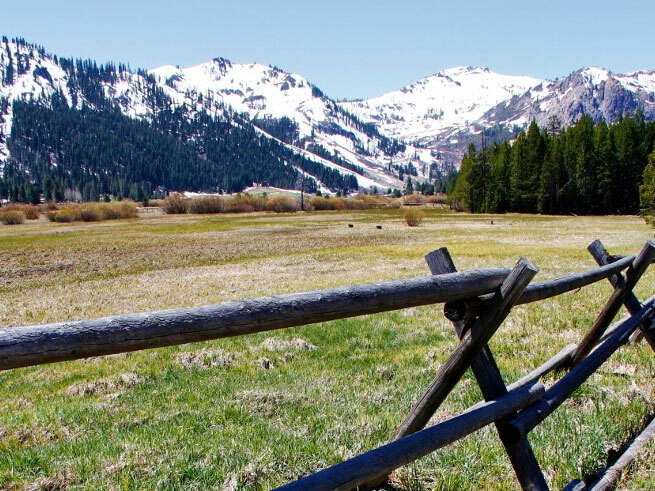 If you love fine wine, music and art, summer in Squaw Valley is mountain bliss. Experience the annual Art, Wine and Music Festival, when the Village at Squaw Valley is a summertime sensation of color, taste, and sound that will rejuvenate your soul. The -two day event features beautiful arts and crafts, live music performances by incredible musicians and wine tastings in the heart of the stunning mountain resort. The 2nd annual Art, Wine and Music Festival in Squaw Valley is one of the most popular events in Lake Tahoe and a joy for your senses. A blend of natural beauty and vibrant culture, the festival showcases exquisite art, stellar wines and classical and world guitar music. Join talented artists, craftspeople, musicians and guitarists at the Village of Squaw Valley for a creative explosion and pristine alpine scenery. 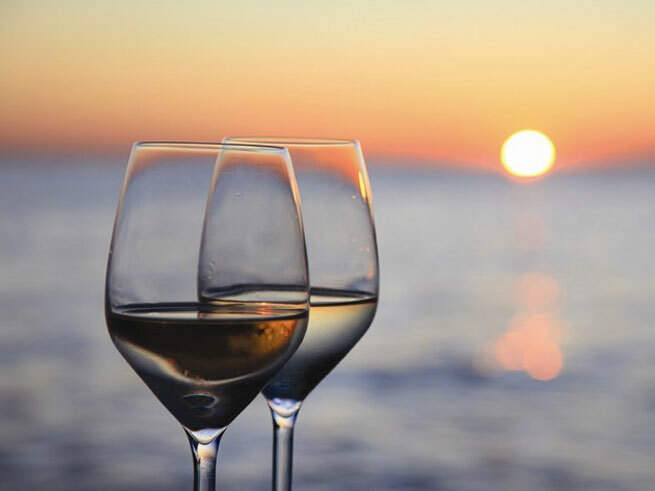 Enjoy wine tasting under the peaks of Squaw Valley and sample delicious wines from 18 California wineries, including Lola Kay Wines, Domun Estate, Twisted Rivers, Praxis Cellars and Zaca Mesa Winery. Walk through the charming village and admire beautiful art and crafts, including paintings, sculpture, photography and jewelry from over 30 artists. The festival also features free outdoor concerts by the world’s most acclaimed classical and world guitarists. A breathtaking summer destination, the Village at Squaw Valley is a family playground with fun adventures like swimming, hiking, roller skating, paintball, miniature golf and ziplining. Bring the kiddos and enjoy pottery making, the sky jump bungee trampoline, hiking at High Camp and dining with mesmerizing views of the mountains. Ride Squaw Valley’s Aerial Tram with panoramic scenes from 8,200 feet above. The Art, Wine and Music Festival is a free event, but the wine tasting is $25 each day with a commemorative wine glass. For details, visit www.squaw.com/things-to-do/events-calendar/art-wine-music-festival. 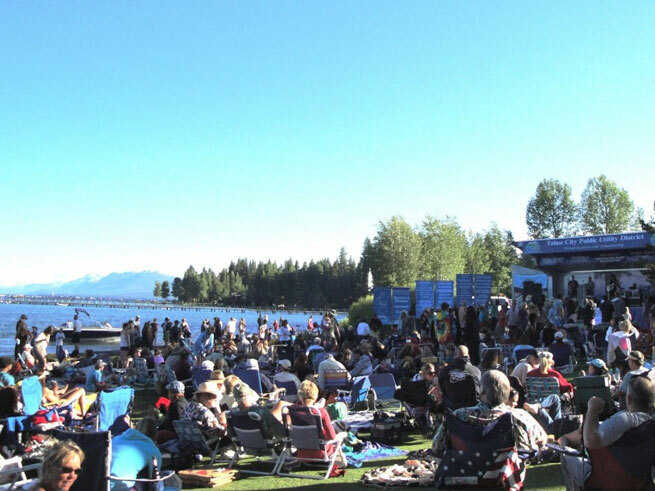 Enjoy live music at beautiful El Dorado Beach/ Lakeview Commons in South Lake Tahoe every Thursday night throughout the summer. Kicking off on June 20th, the Live at Lakeview: Free Summer Concert Series will feature amazing concerts by local and nationally recognized bands and musicians. 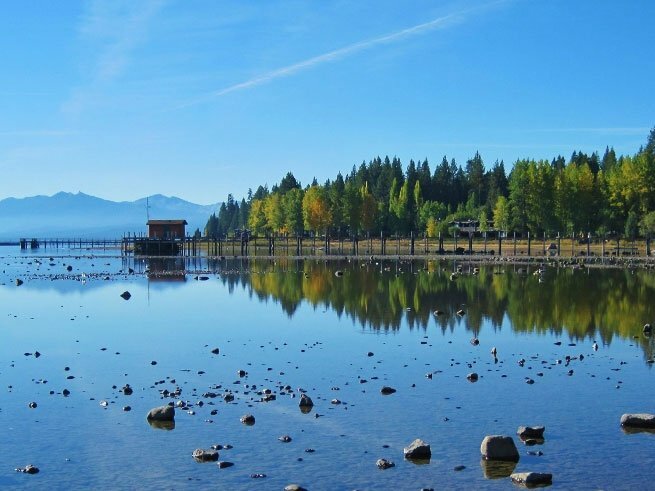 Every week, you can hear bands playing a diversity of musical genres, from Rock & Roll to Reggae, Latin to Jazz, Country to Bluegrass, while enjoying stunning views of Lake Tahoe. 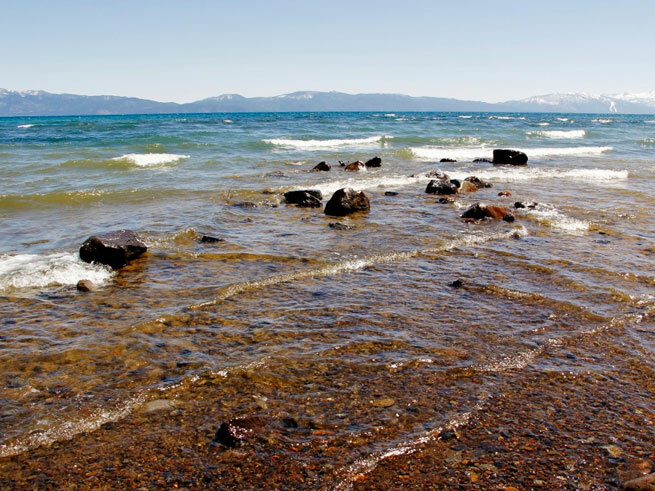 Over the summer, 10 bands will play on a stage right on the sands of El Dorado Beach with the azure waters of Lake Tahoe as the ultimate backdrop to this wonderful music series. 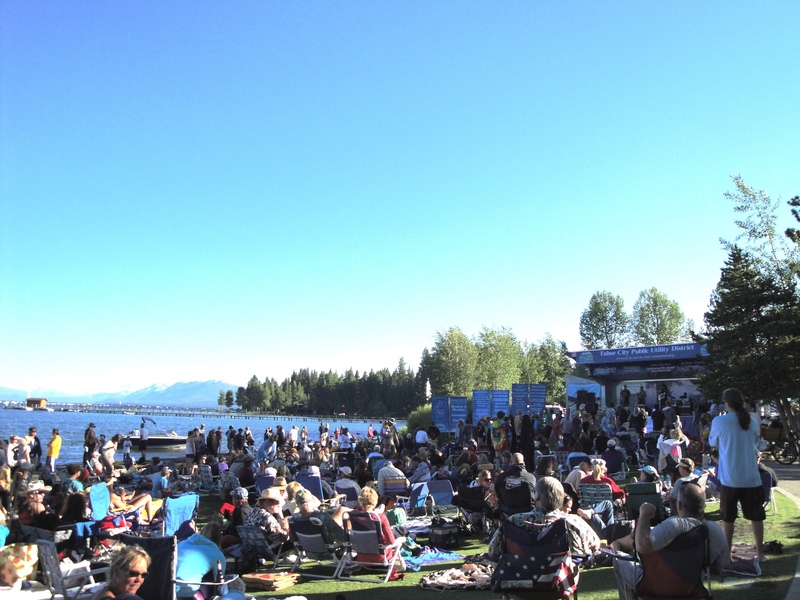 Hear exciting bands such as Fruition, Keyser Soze, Huckle, Polyrhythmics, and the New World Jazz Project as the sun sets over the lake. The Live at Lakeview: Free Summer Concert Series also features a beer garden, local food and drink vendors, local artists and free bike valet. You grab a free seat on the tiered-terraced area or up at the top where there are picnic tables where you can enjoy drinks, dinner and an intimate setting. Music starts every Thursday evening at 4:30 and goes until 9:30 pm. 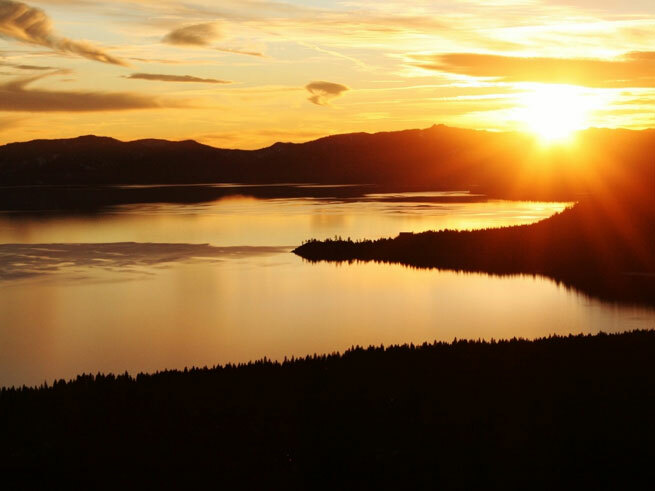 Experience wonderful summer of wonderful live music, great food, art and fun in the spectacular setting of South Lake Tahoe – all just minutes from the Squaw Valley Lodge. 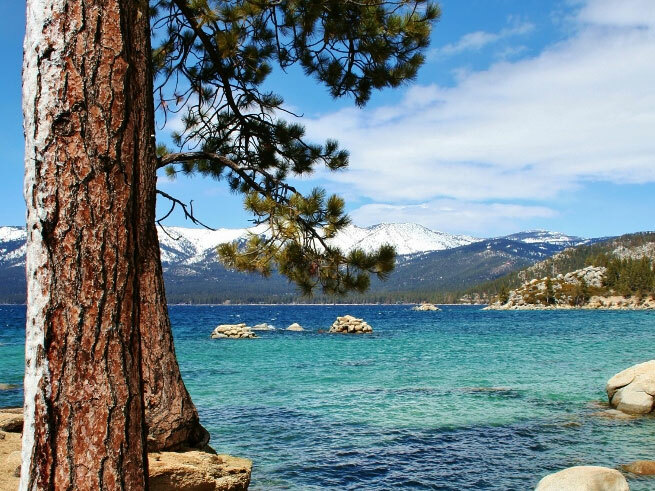 There are some years when we see snow in June, but with temperatures rising into the upper 70’s and low 80’s this week, summer has truly arrived at Lake Tahoe. Squaw Valley summer operations open June 14th, and we thought what better way to gear up for the summer season than a little Lake Tahoe eye candy? Since photographs speak a thousand words, we’ll just let the beauty of this region and season speak for itself. 1. What is your favorite thing about shooting in the summertime? I love shooting ALL seasons at Tahoe. Summer provides more daylight for all shooting days, and warmth so you can be out in the early morning or late evening. The beaches’ 99% pure water is magical in summer. I soon plan to purchase an underwater camera and shoot at lake level/underwater images while I am actually in the lake! 2. What locations in the Tahoe region tend to photograph the best, or do your clients like the best? I have found it funny over the years my favorite images and clients’ favorite images vary greatly. I am not sure why this is–simply preference? My best sellers have been reflection images (where the mountains/trees/etc. reflect in the lake on a glassy lake day), photos of piers, and wildflowers have been great sellers as both prints and greeting cards. Most of my revenue from summertime in Tahoe has been weddings. I photographed a small beach wedding on the South Shore in 2010 and the images turned out lovely–Nevada Beach at sunset did not disappoint! 3. Any tips for visitors who want to capture the beauty of Tahoe, or local spots people must see? If you are visiting the Tahoe basin this summer and are not familiar with the area, I recommend taking a photo tour with a company such as Tahoe Photographic Tours (tahoephotographictours.com). 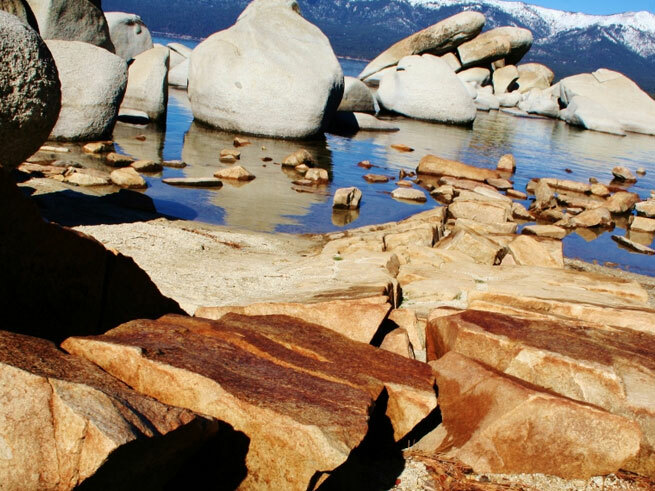 The locations I recommend would be the top of the fire road above Crystal Bay, Nevada, Sand Harbor or Hidden Beach on the East Shore, Eagle Falls and Emerald Bay, and Shirley Canyon at Olympic Valley. If you’re willing to hike, take the trail at the top of Mount Rose Highway and go half way to the summit. There you will find a gorgeous valley with mountain lupine and a gorgeous waterfall. And if you’re willing to take a drive, Hope Valley, south of South Lake Tahoe, is the rugged side of the Tahoe basin. Complete with sweeping meadows, the Carson River, and granite peaks; this area does not disappoint! And as we promised: phenomenal Lake Tahoe region eye candy courtesy of Alena Grace Photography. Summer’s just about here: come and get it! If you haven’t booked your lodging yet, we can help, and save you 30% off your stay!